Small Things Matter is founded on the idea that small acts of kindness can make a big impact on someone’s life. We empower kids of all ages to use and share their talents to help others in need whether it be with a Random Act of Kindness gesture such as leaving an encouraging word on a rock to be found or leading a group to craft handmade stuffies for children in the hospital. Our motto is: Educating Children, Building Communities, Preserving Kindness. Small Things Matter donates and encourages others to handcrafted items for those in need. Organizations that we partner with include Difference Makers, The Children’s Inn at the NIH, KID Museum, and Children’s National Medical Center. We encourage our members to either join us at a community craft along or to craft on their own. By partnering with us small groups can reach the larger donation amounts needed by many of these organizations. Our Projects page contains downloadable STM patterns and STM tags. Completed projects and happy recipients of our collective donation will be posted on our website so that everyone can share in the joy of knowing that they made a difference in someone’s life. 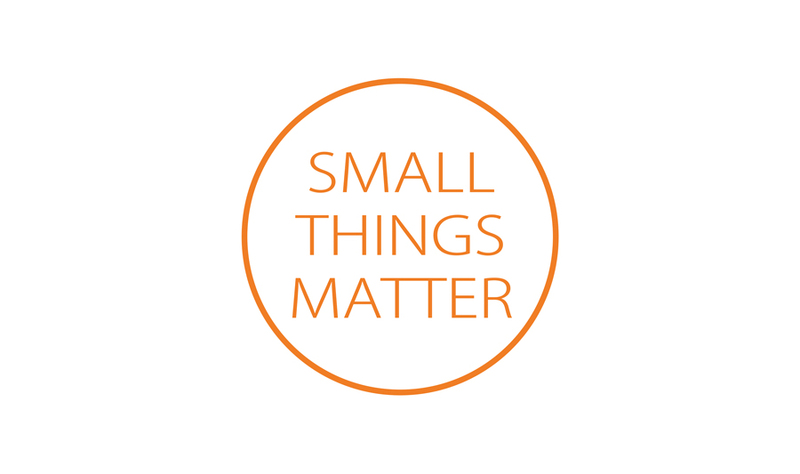 Small Things Matter also performs and encourages others to perform Random Acts of Kindness. Some of our RAKS included leaving abandoned art to be found, lucky penny drops and bracelet drops. If you perform a RAK drop, please send us a photo and a short blurb so that we can share it on our site. Small Things Matter also designs/sells custom pinback buttons to help others spread awareness about the causes they are passionate about. We have made buttons for nonprofits, STEM Night, and rock bands. We are also available to come out and host a “Color Your Own Button” table at your event if you live in the DC Metro area. Small Things Matter also offers Crafting for Charity Parties that allow groups of people to use their special day to craft for others. Our presentation includes sharing information on the charity of your choice as well as crafting instruction. Donations to cover the costs of the materials and our time are greatly appreciated. If you have an idea for a new project that you’d like to lead in your area please contact us by email or phone. We would love to partner with you in helping others.